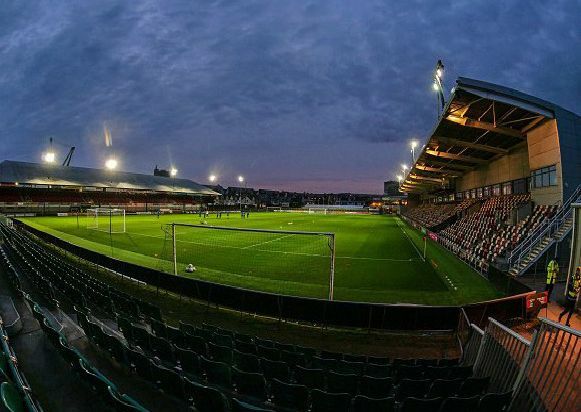 Mansfield Town went down to only a second away defeat of the season as they lost 1-0 at Newport County. A first half goal by Robbie Willmott separated the two sides as the Stags lost striker Danny Rose to a nasty head injury. Photographer Gareth Williams captured the best of the action. County's Robbie Willmott scores for the second time this week to give them the lead against Mansfield Town. County's Robbie Willmott celebrates his new contract with the opening goal against Mansfield. Mansfield's Matt Preston climbs above Newport's Jamille Matt. Ryan Sweeney battles with County's Jamille Matt.